Manufacturer of a wide range of products which include Zinc Amino Acid Chelate, Whey Protein, Sodium Propionate, Malt Extract Powder, Rice Protein and Rice Protein Hydrolysate Powder. Available in Powder form.used in food industry like bakery,milk daily.i will increase the life of product.stop the fungus.increases the life of product.use as food preservative. 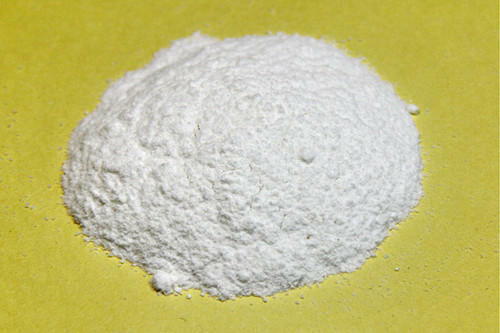 Rice protein Hydrolysate powder used in various Food Grade And Pharma Grade formulation.made from rice bran.Rice protein can help with recovery and gains in muscle when take exercise.It contains the nine essential amino acid that can not be synthesized with in human body,thus need to be supplied by the diet. Protein hydrolysate in powder form is a free flowing powder made from the hydrolysis of high quality proteins.it can be used in various grades like pharma,Animal food,Food,Agriculture. As per the requiremnt of customer,we produced a range of Hydrolysed proteins or proteinates from different protein sources with required percentage of protein in liquid form. Made specially from soya this grade is an ideal MSG substitute,used by a host of sanck food makers and eat meal makers.It Imparts the right savoury taste and binding properties needed to make the product acceptable.This can be also used as flavour enhancer. MIX AMINO ACID CHELATE used in formulation in various grade like Food,Phamra,Animal Food,Agriculture. By: Akola Chemicals (India) Ltd.